We have our first guest coaching session success story! We are so excited to introduce you to Ellen Clark, our first brave listener willing to come on the podcast for coaching. And WHEW! Her manifesting power is pretty darn incredible. Ellen recorded her coaching session with us a few months ago and unfortunately we had some technical difficulties and the recording was lost. We felt horrible because her session was so powerful. She got up close and personal with us and really allowed Jay to walk her through getting clear. 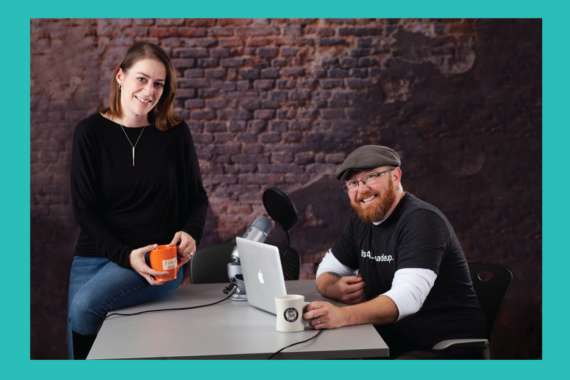 While we were crying over lost recordings, Ellen was putting her coaching session to work and we are super excited to share the results during this episode. We would love to keep helping our listeners! If you are currently struggling to achieve a goal, manifest your dreams, or just get over the hump in an area of transformation–we are here to help. Contact us through the contact form or via Facebook to sign up to have a coaching session on a future episode. We would love to help! 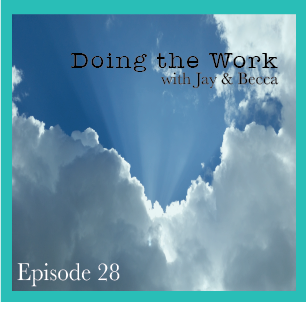 And a free coaching session from Jay is pretty darn amazing too. 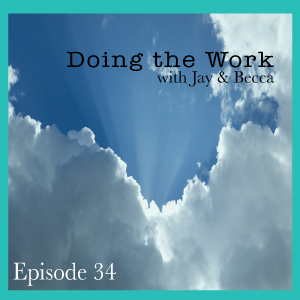 We invite you to join us in our private Facebook group, Doing the Work with Jay and Becca. Share your thoughts, ask for advice, post inspirational messages…whatever makes you connect to the work. We want the group to reflect the needs of everyone who participates.